I worked on the residential side of the real estate industry for many years before switching to the commercial side in 2009. Being in the industry, you tend to talk to a lot of people about real estate. I remember having countless conversations about how I felt those that would end up "winning" over the long run would be those that cashed out as much equity as possible on the way up and then stopped making payments as soon as prices began to decline. Back in 2008 this concept was still considered pure lunacy. There were two main arguments against a home owner making this move. The first was that it was morally wrong. 99% of the people in the country have no understanding of modern money mechanics or where the money that the bank lends to purchase homes comes from. I would recommend clicking here if you would like a primer on this subject, but the short answer is that it is created out of thin air. Beyond explaining that concept there is no argument against the moral decision as it belongs to everyone individually. The second and even more common response against walking away from a mortgage was that it would hurt your credit and you would not be able to purchase a home in the future. My response, which sounded even more fringe back in 2008, was that due to the sheer number of people that would eventually stop paying the rules would be changed to allow those people a "pardon." As a result of the recent recession many borrowers who experienced unemployment or other severe reductions in income, were unable to make their monthly mortgage payments, and ultimately lost their homes to a pre-foreclosure sale, deed-in-lieu, or foreclosure. Some borrowers were forced to file for bankruptcy to discharge or restructure their debts. Because of these recent recession-related periods of financial difficulty, borrowers’ credit has been negatively affected. FHA recognizes the hardships faced by these borrowers, and realizes that their credit histories may not fully reflect their true ability or propensity to repay a mortgage. the borrower has completed housing counseling. If a bankruptcy occurred more than a year ago, meaning an American walked away from their mortgage and then wiped away all their remaining debt through bankruptcy, then the government will now lend them money to re-buy a home. Let's now walk through the discussion again to see how a typical American family "won" during this process. Imagine the Jones family purchased a home in a major market in early 2000 at $200,000 and it rose in price to $500,000 at the peak of the market in 2006. They decided at every $100,000 increase in price that they would "cash out" and put the home equity into their pocket. In early 2006, the Jones have a $500,000 mortgage, a $500,000 home, and $300,000 in cash in their pocket. 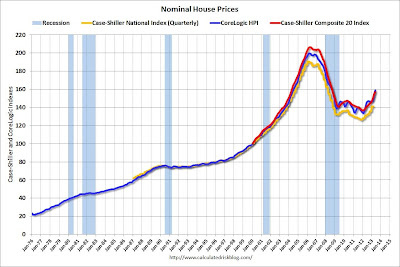 Following the time line on the chart above, they take my "insane" advice back in 2008 and stop making payments on their home. The Jones soon realize that due to the number of people not making payments and banks not wanting to take losses on their real estate portfolio, owners have the ability to live in their homes for 2 to 5 years before the foreclosure process begins. Their former monthly payments of $3,500 now go into their bank account every month. When the bank finally comes to the door of the Jones house to begin the foreclosure process in 2011, they move out and begin renting a home across the street. They have regular jobs and $300,000 in cash in the bank (plus their windfall money from living rent free for 3 years) so they do not miss a payment on their auto loans or a rent payment from 2011 onward. Their credit is slowly beginning to rebuild as they rent and continue to watch home prices fall every month around them. It is now late 2013 and the FHA announces this week that they are giving away not only 3% down payment loans, but they are now offering loans to those with subprime credit and even bankruptcy (see above). 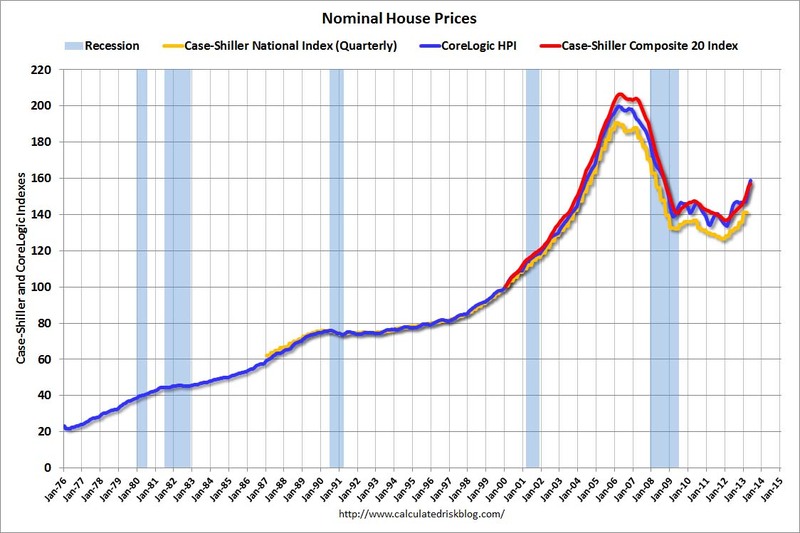 The price of homes in their old neighborhood fell from $500,000 to $200,000 in early 2012. Since then, they have risen from $200,000 to $250,000 where they stand today. They can now re-buy their original home for 50% less than the loan value they walked away at in 2008. They still have $300,000 in their pocket. This is the perfect example of someone who "won" during the housing collapse. They did it by doing what most would consider the most morally wrong thing during every step of the process. The U.S. government has awarded these people every step of the way and the new FHA program is the final icing on the cake. Everyone who "lost" are those that decided to continue making payments; the people that did the right thing morally.